Twitter is planning a massive overhaul of its mobile apps, reports AllThingsD. While the redesigned iOS app won’t be launched until sometime after iOS 7 is available, it will include a focus on streams, doing away with the standard menu bar on the bottom of the screen. Content, including what is found in today’s Home, Connect, Discover, and Me sections, will be organized into streams, which can be navigated by swiping. The Discover section of the app will be eliminated and embedded media will be available in all streams. There will be a main, reverse-chronological stream like users are currently familiar with, as well as a stream for interactions between other users and conversations they’re having. Notably new, there will also be a stream dedicated entirely to photos shared on Twitter. The overall theme: Look pretty, feel richer, and become far more visually immersive than the text-heavy Twitter we’re all familiar with. The company is also reportedly experimenting with a stream that will display only television-related tweets and conversations, designed to bump up user retention by helping first time Twitter users discover interesting content. In August, Twitter redesigned conversations within its app, adding lines and reordering conversations to make it easier to follow discussions. Twitter is expected to launch an update for iOS 7 following its release on Wednesday, but the redesigned app will not be released until later this year. 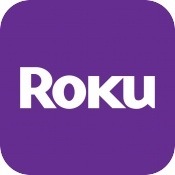 Roku has updated its iOS app to version 2.3.0, allowing users to broadcast videos from their iPhones to their Roku players. Previously, the app limited its “Play on Roku” sharing, which works somewhat similarly to Apple’s AirPlay, to photos and music. The app’s new video sharing capability only works with video that was captured using the iPhone and saved to the photo library; it does not work with other video content stored on the phone. Shareable videos can be accessed by tapping on the “Play on Roku” button and selecting content from the newly included video menu. Streaming video works with multiple versions of the Roku, including Roku 3, Roku 2, Roku HD, Roku LT, and the Roku Streaming Stick. MIT Technology Review has dug up a job ad posted by Apple on LinkedIn appealing to writers to help make Siri more conversational. Siri has been known for her wit and personality, with Apple attempting to allow Siri to build emotional ties with users. Apple focused on keeping Siri’s personality “friendly and humble — but also with an edge”. According to their source, they were thinking “How would we want a person to respond?” while developing the software. After scaling back Siri’s original feature set for its initial launch through Apple, the company has been working to expand compatibility to new devices such as the iPad as well as new languages. Apple has also improved Siri in iOS 6 with new movie, sports and restaurant features, and is set to introduce movie ticket purchases through Fandango with the upcoming iOS 6.1.